The Rajghat Dam is located around 15 kilometers from Chanderi and is a popular road-trip spot. 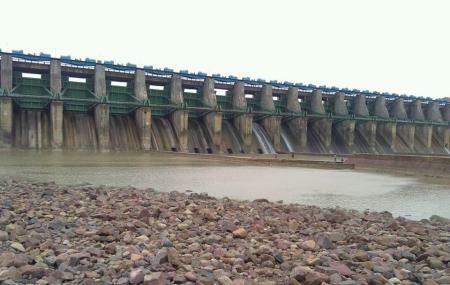 The dam is constructed on the Betwa River and is linked to the Rajghat Reservoir. The view all around magnifies during sunset while the nearby park is perfect for a small picnic. The scenery all around is apt for photography while the ride itself is quiet pleasant. The best time to visit the place is during monsoons- when the gates are opened. How popular is Rajghat Dam? People normally club together Hotel Aakash and Jageswari Temple while planning their visit to Rajghat Dam.